Written by Arran Dutton - Co-Founder of Audio Factory Everybody at Audio Factory is delighted to announce that a new educational series we have created for BBC's CBeebies Radio started today. 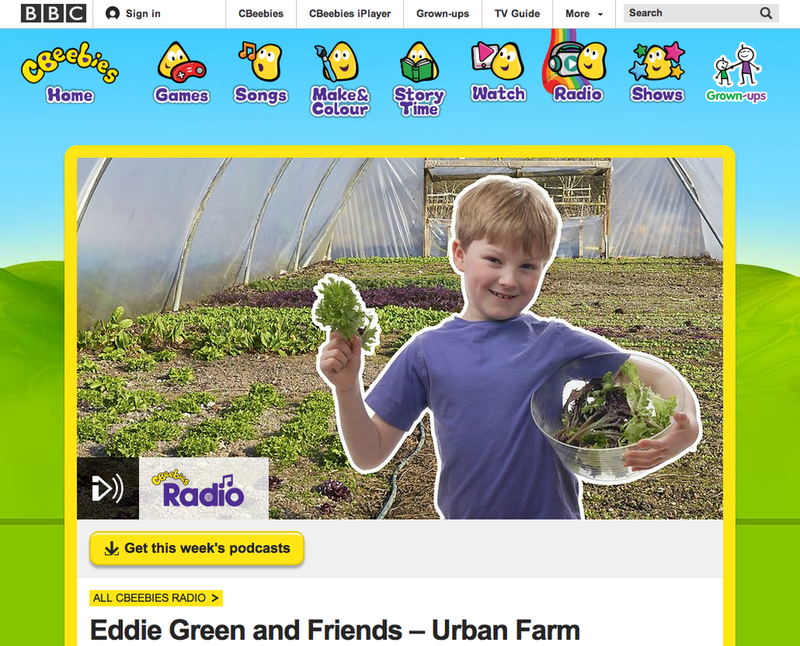 Eddie Green and Friends will allow young listeners across the UK to join Eddie, played by seven-year-old Joseph, and eavesdrop on the lives of other children as they learn about the environment and take part in eco friendly activities and adventures with their friends and families. Eddie Green and Friends is the second CBeebies Radio series created by Audio Factory after last year’s Poppy’s Play Dates. We wanted to find a way to encourage children and their families to take up eco friendly activities and measures whilst having lots of fun. In episodes we’re making sock puppets and jam jar greenhouses to open children up to the idea of re-using materials, we have children visiting rock pools and wildlife centres to learn about different habitats and the importance of caring for animals and in others they find out about growing vegetables and planting flowers with the future in mind. In every episode we have also provided positive examples of eco friendly travel, using electricity and water efficiently, recycling, sustainability and much more. The series has been split into two with five episodes initially running from Tuesday 2nd June through until Tuesday 30th June. It's started with the urban farm episode, which sees Eddie and his friends visit a farm in the middle of Bristol to learn about growing food before heading to a cafe/restaurant to meet a chef and using some of what they picked to make a meal. I'm particularly proud of this episode as it shows children the process of 'spade to plate' and for me there are some wonderful revelations in there that will hopefully stick with young listeners, especially when one of the children finds out that the salad leaves they have picked that morning will be eaten by over 50 people. It provides a great example of planning ahead and introduces children to the idea that food isn't just bought in a supermarket. Another feature I particularly love is a reference to collecting rainwater to water the produce rather than using water from a hosepipe. It's a simple reference but hopefully children and maybe even parents listening may think about using water buts or even buckets to collect rainwater that can be used to water plants if we ever do have a prolonged period of sun here in the UK. James Barber, a filmmaker with a growing reputation within the creative industry, turned his hand to directing audio for this episode when joining Audio Factory's lead technical producer Dave Perry and myself, the series creator for Eddie Green, in producing this episode. We'd like to thank James for his hard work across the production days and hope that he enjoyed the experience of directing children, one that he can hopefully take over to the filmmaking world! Stay tuned to the Audio Factory website for a behind the scenes look at this episode with details about both The Severn Project and Bocabar in Bristol who were fantastic hosts as we recorded at each location.